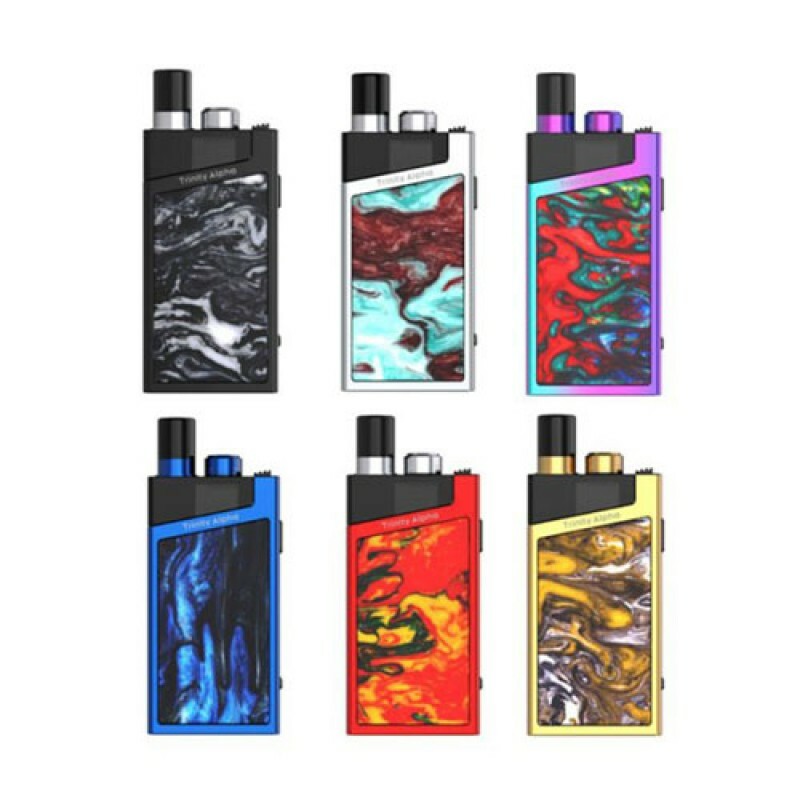 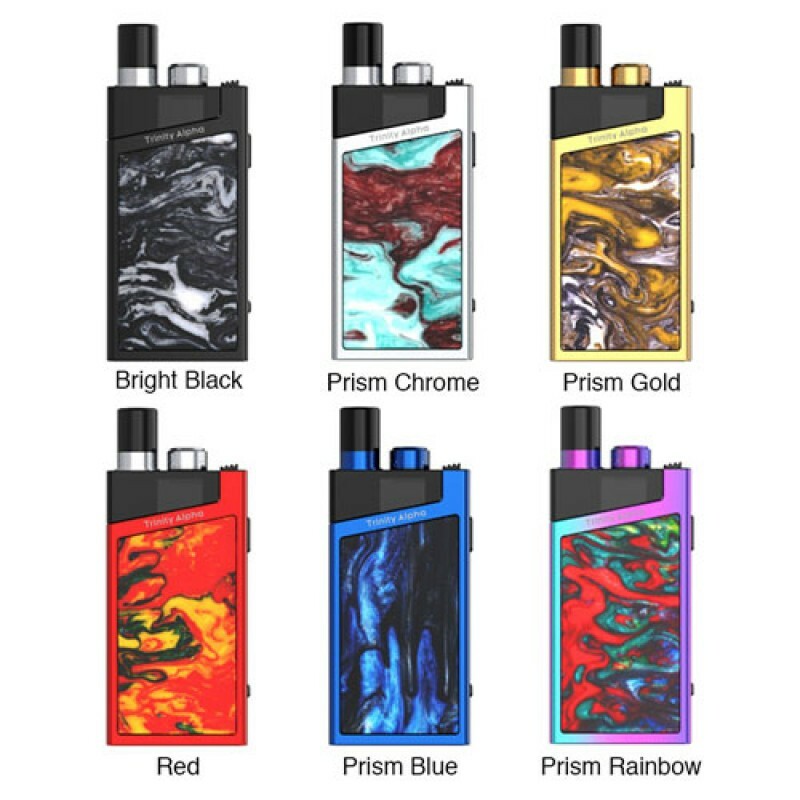 The Smok Trinity Alpha 25W Pod System is a representation of the ultimate all-in-one vape pod kit, deploying creative design elements combined with advanced chipset with three output modes, 1000mAh battery, and the NORD Coil System for a momentous creation. 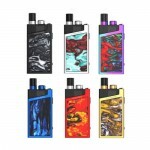 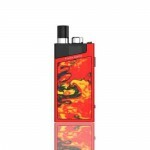 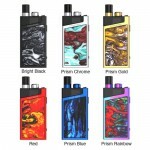 The SMOKTech Trinity Alpha is fully constructed with high-level of craftsmanship, illustrating a quality alloy shell with beautiful unique resin panels for a luxurious all-in-one, or AIO, pod system. 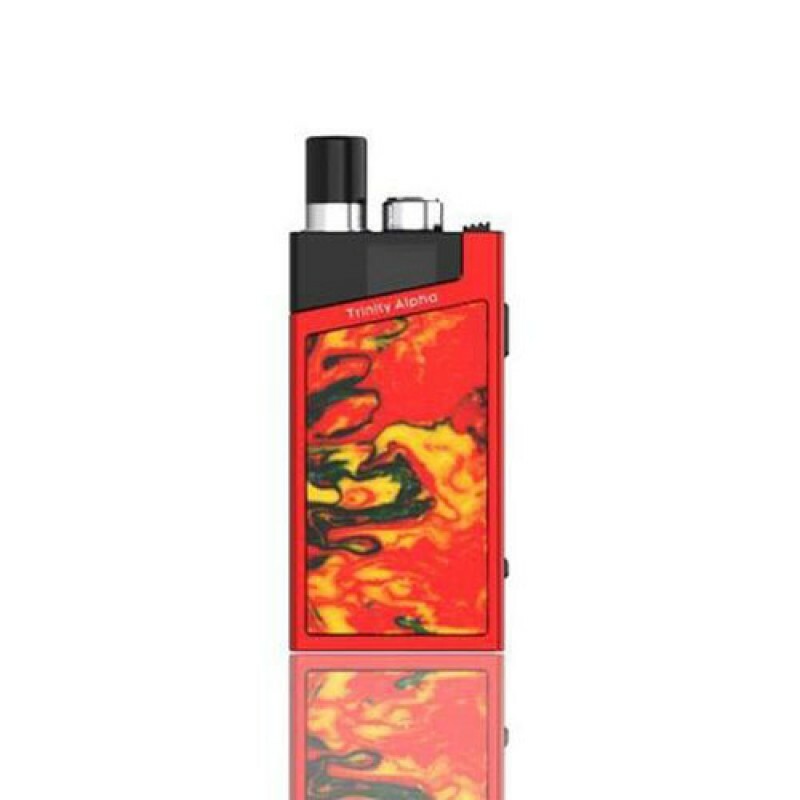 The built-in 1000mAh rechargeable battery provides ample power to use throughout the day, working in synergy with the chipset featuring variable output modes -- SOFT / NORM / HARD. 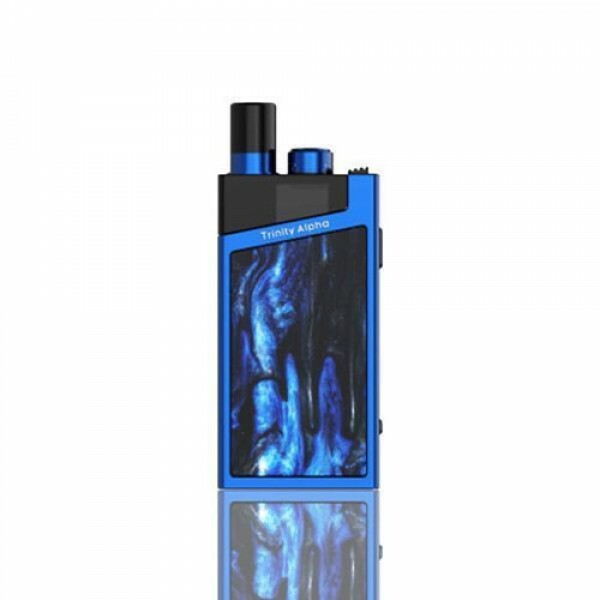 The Trinity Alpha Pod features a 2.8mL maximum capacity, capable of working with the popular NORD Coil System with the 0.6ohm Nord Mesh with a 25W maximum wattage and a 0.8ohm Nord Mesh-MTL Coil with a 16W maximum wattage. 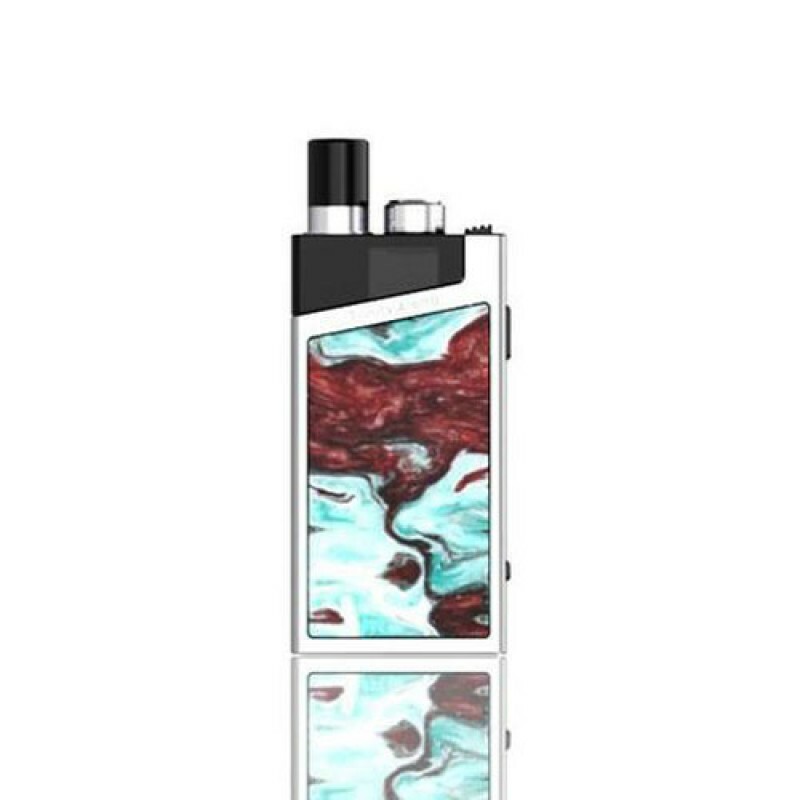 The ingeneous design of the cartridge allows for a swivel top-fill method and comes with a Delrin MTL Drip Tip that can be customized as the drip tip section is 510.